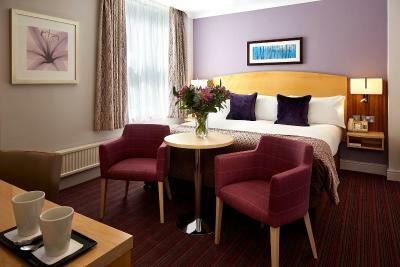 Lock in a great price for The Abbey – rated 8.6 by recent guests! 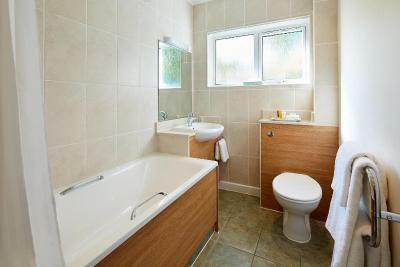 Staff,room,bathroom location,general feel of the place all excellent! Very comfortable room and bed. Great shower. Great service and good food. I have stayed at the Abbey before and recommended it to three other people I was travelling with.They all loved it and we're glad that I recommended it to them! Our stay at the Abbey was very good. 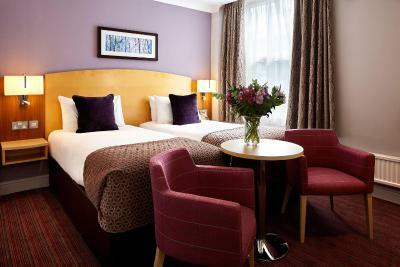 We were upgraded to an Executive room from a Superior, it was very spacious and comfortable. The location was perfect for us - in the town but also with access to walk to the hills without taking the car. The bed was so comfortable and massive. 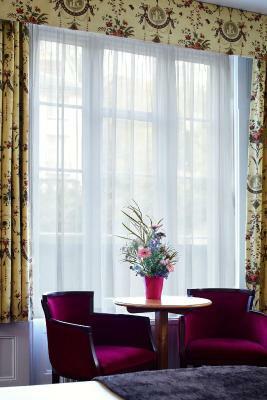 The room was beautifully decorated and very clean. 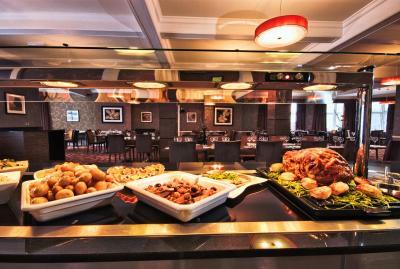 The food at the hotel was incredible and healthy. 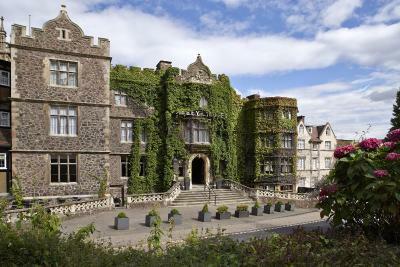 It was a fantastic hotel and I'd recommend it to anyone in Malvern. The staff, who were exceptionally welcoming and efficient. Of particular note, those on the reception desk, at the bar, in the restaurant, and the room cleaners. Staff excellent - especially as we had to change rooms due to lack of hot water and smell of sewerage. Breakfasts excellent. It has a great feel with good staff and brilliant location. Beds and pillows are comfortable. The Abbey This rating is a reflection of how the property compares to the industry standard when it comes to price, facilities and services available. It's based on a self-evaluation by the property. Use this rating to help choose your stay! Its history dates back to the 1600s and the building retains some outstanding original Victorian architecture. 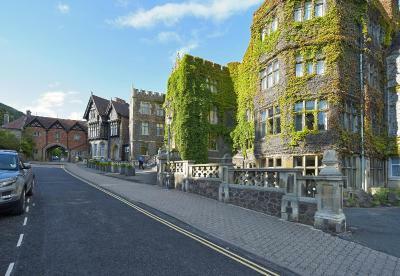 In the heart of Malvern, The Abbey offers outstanding Victorian architecture beneath its Virginia Creeper clad facade. Commissioned during the growth of the spa town in the mid 19th century, the hotel has a long history of welcoming guests and provides the highest levels of comfort demanded by today's traveler. 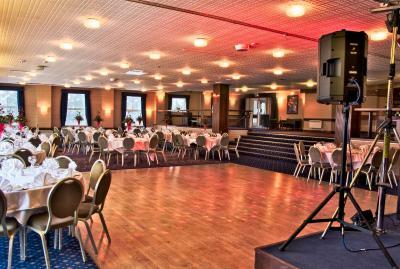 The location offers easy access to the M5, M6, M42 and M40 and convenience for Birmingham's NEC and airport. 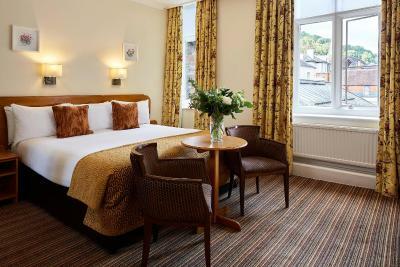 Great Malvern Station is a mile away, with direct services to Paddington station. 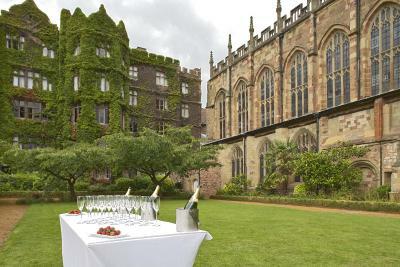 Enjoy the fine English traditions of service and hospitality for which The Abbey is renowned. When would you like to stay at The Abbey? 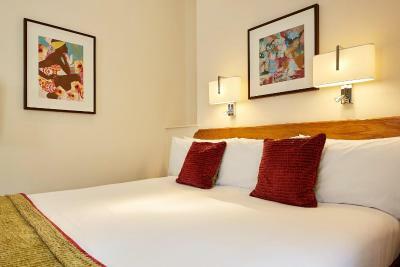 Double room with tea and coffee making facilities, flat-screen TV with Freeview, BT sports and Sky sports channels, hairdryer, telephone and free WiFi. All rooms are nonsmoking. 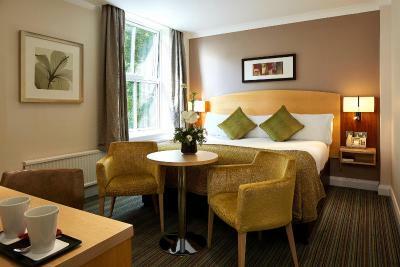 Double room featuring a seating area, tea and coffee making facilities, flat-screen TV with Freeview, BT sports and Sky sports channels, a hairdryer, a small fridge, telephone and free WiFi. All rooms are nonsmoking. 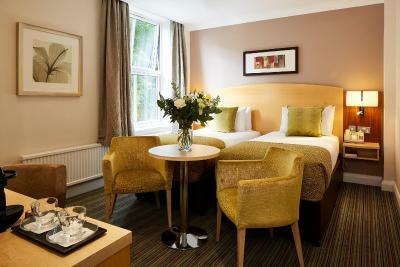 Spacious and comfortable twin room with private bathroom, tea and coffee making facilities, flat-screen TV with Freeview, BT sports and Sky sports channels, hairdryer, telephone, work desk and free WiFi. All rooms are nonsmoking. 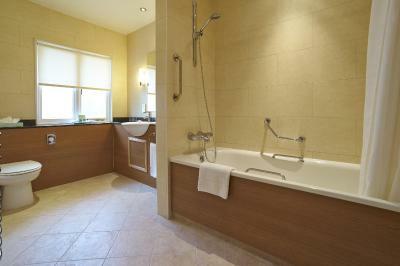 Spacious and comfortable double room with private bathroom, tea and coffee making facilities, flat-screen TV with Freeview, BT sports and Sky sports channels, hairdryer, telephone, work desk and free WiFi. All rooms are nonsmoking. 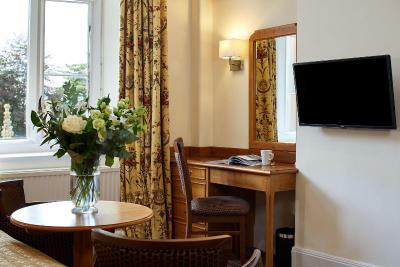 These rooms have a flat-screen TV with Freeview channels, Sky and BT sports. 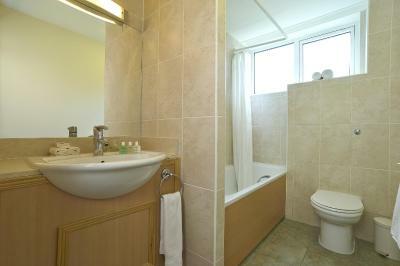 The rooms have views either of the Hill or Evesham vale. 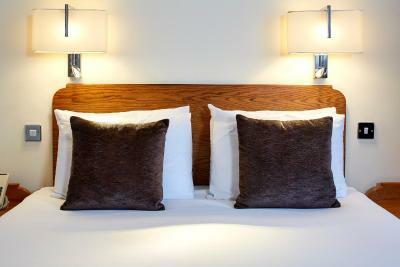 The King Rooms are located in the Elgar wing of the hotel. 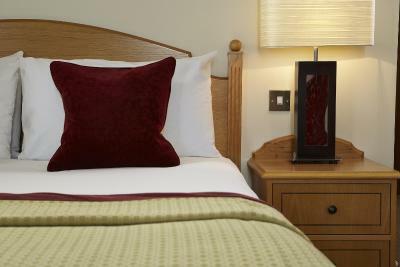 These rooms feature super king-size beds, a Nespresso machine, hospitality tray, laptop safe with in-built charger, large flat-screen TV with Freeview, BT sports and Sky sports channels, USB and power sockets adjacent to the bed. Some of these rooms cannot accommodate pets; guests should request this in the Special Requests box at the time of booking if they need a room that has not accommodated pets. 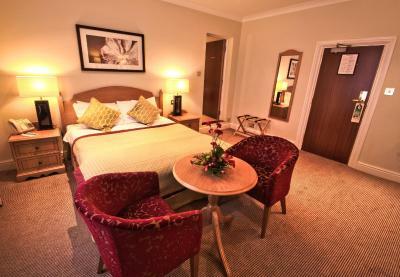 King Rooms can be made up as a twin-room; if required, this should be requested in the Special Requests box at the time of booking. Abutting Malvern Priory church and nestled into the Malvern Hills with superb views towards Evesham vale and Malvern Hills, the Abbey hotel set in the town centre of Malvern is a peaceful retreat for long weekends and short breaks. House Rules The Abbey takes special requests – add in the next step! The Abbey accepts these cards and reserves the right to temporarily hold an amount prior to arrival. The Abbey Hotel is fully nonsmoking. 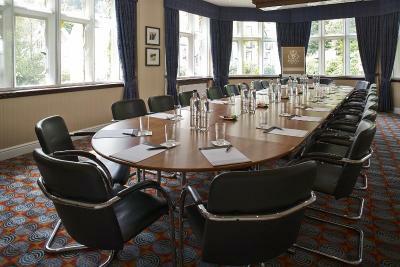 This includes all bedrooms, meeting rooms, the bar and restaurant as well as all public areas. If you have reserved a rate that requires a deposit, for your security, the credit card used for pre-payment must be presented at check in. If the guest does not have access to the credit card, they must be able to provide an official form of photo I.D., i.e. passport or photo driving license, a copy of which will be retained by the hotel. 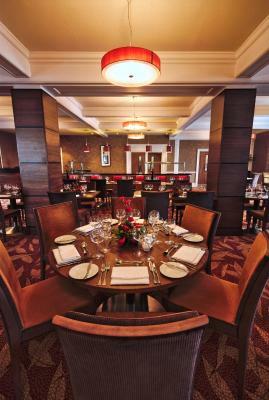 Please note that only the lounge menu will be available on certain dates throughout the festive season. 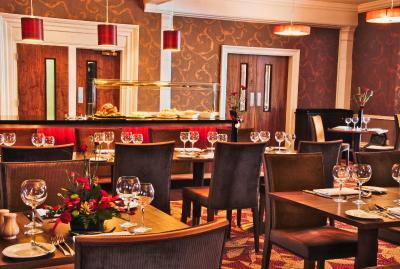 The restaurant will not be open for lunch or dinner on 23, 24, 25, 26, 30, 31 December 2019 and 1 January 2020. The stay was relaxed and pleasant. Rooms could have been larger. We stayed in the newer extension. Excellent location. Staff were extremely friendly, courteous and professional. Hotel is very dated and needs refurbishing. Bar man Saturday evening was really miserable bordering on rude. Would have been nice to have check out up to midday but not really too much of a problem Only stayed one night so nothing really to complain about . Friendly staff. Very efficient. Arrived early and room ready for us to Go to. Breakfast very good, and sat on a table next to window with lovely view of the actual Abbey Fantastic location and view of Abbey from our room . We went to the theatre and hotel perfect location for this .Have stayed here several times and the Abbey always meets our expectations. Large room overlooking front of hotel.Very big, comfy bed. Sitting area with sofa and two armchairs. 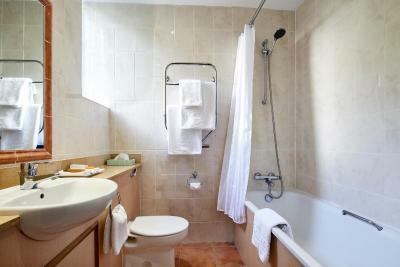 Powerful shower - simple to operate. Bit of a walk from the car park, My wife struggled a little as she has a sports injury. Location, food, room ambience, hotel staff, shall I go one. An e client experience. I booked 3 rooms and they were in different parts of the hotel and all standard rooms. One was great but 2 of our party had to change rooms. 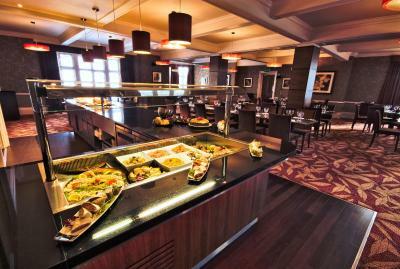 Good location, comfortable, staff were welcoming, great breakfast.